“Nobody can ever underestimate how important it is to have a good resume. First impressions count, and the first impression that a potential employer will have of you, is going to depend on how you present your resume. This is going to be your one and only chance to capture a potential employer’s attention, or for your resume to be tossed into the file of those they don’t want to pursue. The statistics are that the average employer only spends a few seconds looking at a resume, so it is imperative that it makes an impression. In this increasingly competitive job market you need to have a professional resume that contains the right information, so that it will stand out amongst the countless other resumes that potential employers will be looking at, and give you the best possible chance of getting their attention. 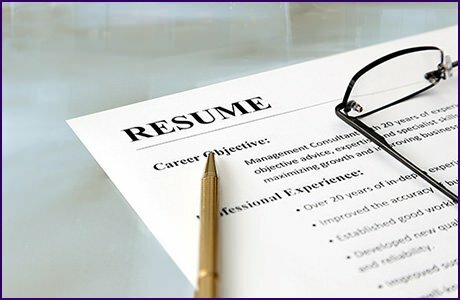 Here are 5 do’s and don’ts of resume writing. Some may be common sense (unfortunately common sense isn’t so common) and others may not. Use 10-12 point font depending on length. Use a simple, standard font. Use proper margins. 1 inch is fine. Use a professional/executive summary to pinpoint skills and objectives. Use resume paper to print copies. This paper is different than the standard printer type and will make your copy stand out over others. Ever use more than 3 pages or fill less than 1. Submit the same resume for every job. Tailor it to the specific requirements needed. Submit a resume without a cover letter. The cover letter is an introduction and a manager will look at candidates who write one with more interest than ones who don’t. Lie, embellish, stretch, add, fluff, fudge, or put anything else deceiving in a resume that is not accurate. It will come out during the interview or worse yet on the job.